CARFAX is the vehicle history expert for used car buyers, sellers and the automotive industry. CARFAX created the vehicle history report in 1986 and maintains the largest vehicle history database, composed of over 10 billion vehicle records from more than 34,000 sources. 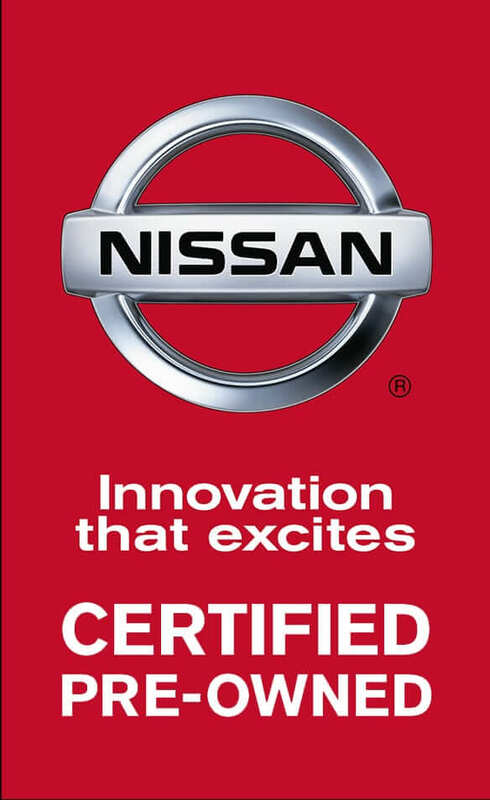 Every Nissan Certified Pre-Owned vehicle has met or exceeded the most stringent vehicle history criteria. CARFAX Three-year Buyback Guarantee: In addition to the CARFAX Report, every Certified Nissan vehicle also comes with a three-year CARFAX Buyback Guarantee. If the report does not include an existing DMV issued branded title (such as salvaged, fire or flood damage, or odometer problems), CARFAX may buy back for full purchase price. Proof that CARFAX stands behind the information they provide to Nissan Certified pre-Owned vehicle buyers. (1)7-year/100,000-mile limited warranty from original in-service date or 100,000 miles on the odometer, whichever comes first. Terms, conditions and exclusions may apply. 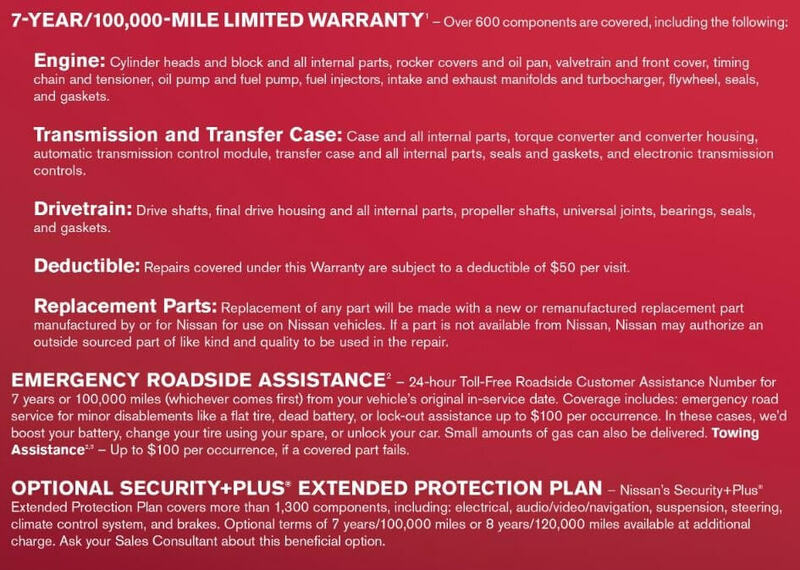 For complete information concerning coverage, conditions and exclusions see Ross Nissan and read the actual warranty. Any necessary replacement parts will be made using Genuine Nissan new or remanufactured parts, or Nissan-approved parts. (2)Roadside Assistance/Towing Assistance provided for a period of up to 7 years from the original in service date or 100,000 miles on the vehicle's odometer, whichever comes first. (3)Vehicle will be towed to the nearest Nissan dealer or the nearest authorized repair facility. The Nissan names, logos, product names, feature names, and slogans are trademarks owned by or licensed to Nissan Motor Co. Ltd. and/or it's North American subsidiaries.